Thread by @kurteichenwald: "1. I know this is news to no one, but MY GOD @SarahPalinUSA is the DUMBEST person in the world. She is so stupid that she does not underst [...]"
@SarahPalinUSA 2...imbecilic what of taking a simple phrase and twisting it beyond meaning. 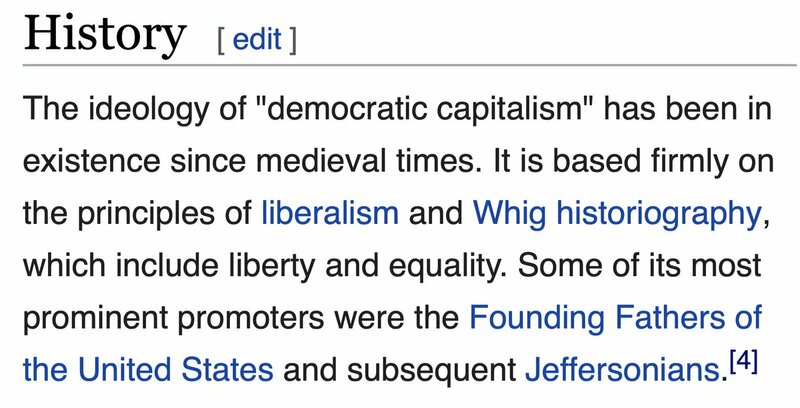 5...so @PeteButtigieg isn't anti-capitalism.He's just smarter than @SarahPalinUSA since he uses big words and studied history, so advances positions of the Founders to her sneers. But who isn't smarter than Palin? Below see a biz-school explanation of democratic capitalism. If she had JUST read wikipedia, shed have understood she was dissing the Founders. In words of Mr. B. Bunny -"What a maroon!" Like this thread of @kurteichenwald? Share it with your friends & followers.